Fosimo.TR 0.5.5 is available for download. Fosimo.TR is a Twitter client for windows which helps you keep track of your Twitter account without browsing through Twitter. 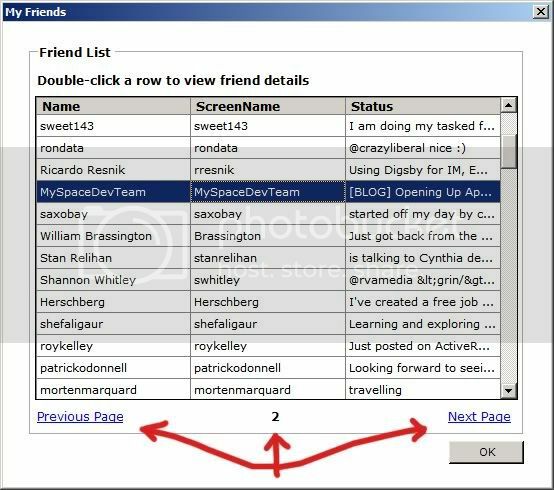 New in Fosimo.TR 0.5.5: friend list paging. Twitter has a limitation of 100 rows of data per API call therefore for those who have more than 100 friends on twitter (meaning people you follow) we implemented paging. I have 280+ for example. Also we restored a click-on-animation functionality. Now one can click on animation and get their friend's details in a single click. This way people are able to retweet/reply in just 2 clicks. A couple of small fixes included in this version as well. Your feedback is appreciated. Don't forget to follow @fosimo on twitter.